SAN FRANCISCO (CN) – The high-profile trial of Patricia Hearst, the California publishing heiress kidnapped by a leftist military group she later joined in a string of armed robberies and car bombings across California, “might have very well” killed its presiding judge, his former law clerk said Wednesday. U.S. District Judge Oliver Carter suffered a heart attack within a week of the close of the April 1976 trial in San Francisco that riveted people around the United States and abroad. A second heart attack that June ended his life at age 65, his law clerk Ralph Swanson told an audience gathered at the federal courthouse in San Francisco to hear from lawyers involved in the case. Hearst, who went by “Patty,” was kidnapped from her Benvenue Avenue apartment in February 1974 while a 19-year-old sophomore at the University of California, Berkeley, by the Symbionese Liberation Army (SLA). The radical leftist group, formed just months earlier by escaped convict Donald DeFreeze and a small group of university students, hoped to exchange their famous hostage for two of its members who had been arrested in the 1973 murder of Oakland school superintendent Marcus Foster. According to Lowell Jensen, a retired judge for the Northern District of California and then-district attorney for Alameda County, the SLA murdered Foster and wounded his deputy Robert Blackburn in an “execution-style” shooting as payback for the “evil” educational policies they had implemented in Oakland, then a city with a large black population just south of Berkeley. The murder was supposed to inspire black Oaklanders to “rise up,” Jensen said. But no one had heard of the SLA before then – including the federal government – and no uprising materialized. And the group’s hopes for exchanging Hearst for their comrades “were dashed very quickly” after according to Robert James, a Pillsbury Winthrop Shaw Pittman attorney and partner of late Assistant U.S. Attorney Edward Davis Jr., who helped prosecute Hearst. “So the question became, what you do with one of the most famous hostages ever taken?” James said. The SLA, Hearst later testified, gave her the choice of joining the group or being killed. After weeks bound and blindfolded in a small closet in nearby Daly City, where she says she was raped by DeFreeze and fellow SLA member Willie Wolfe, Hearst chose to join the rag-tag group that ultimately numbered just nine members, perhaps as a result of “feeding into the guilt complex of an affluent person,” James said. Despite its thin ranks, the SLA became notorious for its daring bank robberies, leading spectators to believe the group was bigger and more powerful than it was. An iconic photograph of Hearst pointing a machine gun at customers and yelling commands while robbing a branch of the Hibernia Bank in San Francisco was seared into the country’s collective imagination, guaranteeing the SLA a place in the annals of California history. The SLA chose the Noriega Street branch because it was one of a few banks that had a security camera, and the SLA expressly placed Hearst in front of it to publicize the group. The SLA escaped to a safe house in south central Los Angeles after the robbery. But an elderly neighborhood woman tipped off city police, who burned the house down during a live-televised shootout after firing tear gas into it. Five SLA members died in the blaze, including Wolfe, then rumored to be Hearst’s lover. But Hearst wasn’t in the house. A day earlier, SLA member William Harris tried to shoplift goods from a nearby sporting goods store. Watching from a van parked across the street as a scuffle ensued between Harris and the shop’s employees, Hearst shot two guns into the store to disperse the crowd and help Harris escape. Hearst, Harris and one other surviving SLA member then carjacked their way 33 miles east to Disneyland, James said. In a 35-day trial, Hearst testified she was brainwashed by the SLA into committing crimes on its behalf. But David Bancroft, a Sideman & Bancroft attorney who helped try the case as an assistant U.S. attorney, said Wednesday Hearst was a willing participant in the SLA’s activities. Bancroft noted the security footage of the Hibernia Bank heist showed Hearst moving with “alacrity,” exposing her willing participation in the crime. “When she left the bank with her cohorts she dropped the clip from her weapon and spilled two bullets, she picked them up and slammed them back into her weapon,” he said. As part of her coercion defense, Hearst said she had been raped by Wolfe, disputing the prosecution’s suggestion the dead SLA member had actually been her lover. But during a trial recess, Bancroft said he happened to read a story in a leftist newspaper called the New Times describing a valuable Olmec stone monkey carving Wolfe had given Hearst during their alleged courtship. The story, Bancroft said, reported Hearst still kept the cherished memento in her purse. Retrieving Hearst’s purse from the courthouse’s evidence room, prosecutors found a stone monkey carving identical to the one found next to Wolfe’s burned body in the Los Angeles safe house. “This is the man she says raped her, and she kept this memento in her purse for one and a half years?” Bancroft said. Hearst slammed prosecutors for suggesting she lied about being raped, calling the suggestion “outrageous” in a 2009 NBC program about the case. Despite the brainwashing defense, a jury found Hearst guilty of armed robbery after less than two days of deliberations. President Jimmy Carter granted Hearst clemency in 1979, almost two years into Hearst’s seven-year prison term. President Bill Clinton pardoned her in 2001. Although Hearst spent 19 months on the run with the SLA, she committed no additional crimes after her release from prison. Asked Wednesday whether her spotless life post-SLA proved Hearst had in fact been brainwashed, Bancroft said it did not. He attributed her activities with the SLA to her privileged upbringing and a belief she was above the law. “It’s not at all surprising,” he said of the heiress’s return to normal life. “The proof is in the pudding,” said U.S. District Judge William Orrick III, whose father sentenced Hearst following Judge Carter’s death. Orrick, who sits on the same San Francisco federal court as his father did, said his father sentenced Hearst to seven years in part based on substantial evidence she had willingly participated in her crimes. 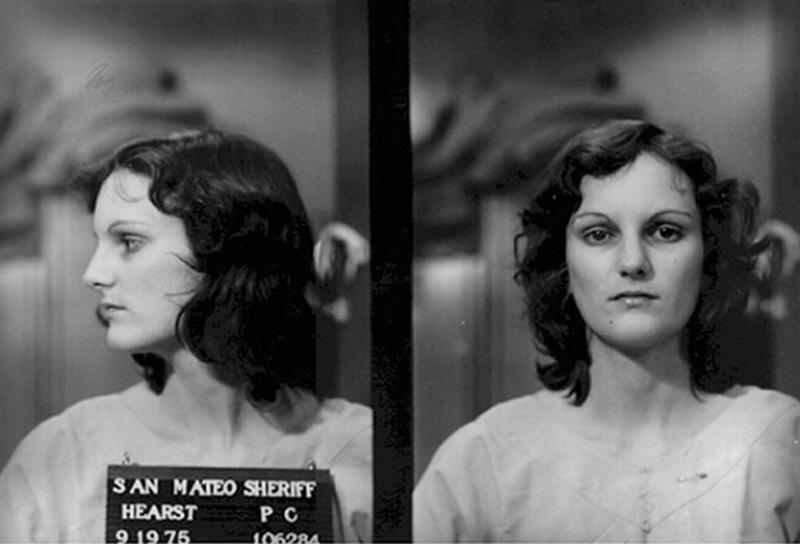 Key pieces of evidence included Hearst’s “verve and alacrity vividly captured on film;” the sincerity of tapes the SLA released during her captivity in which she pledged allegiance to the group and eulogized Wolfe; her “matter-of-fact statements” following arrest that her role in the robberies was voluntary and her captors had become her “comrades;” her relative freedom during her captivity; her fist salutes after her arrest; and, significantly, shooting at the store employees from the van in which she was sitting alone with the keys instead of using the melee to escape. Orrick said his father received death threats before and after the sentencing. Some letters admonished him for sentencing the granddaughter of California’s “great benefactor,” William Randolph Hearst.